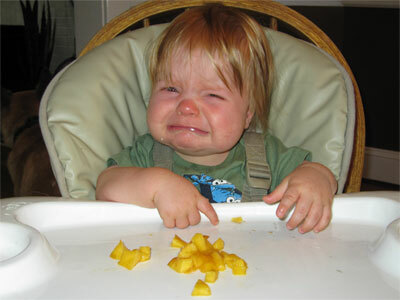 A baby not wanting to eat is one of the common problems among the young ones. You offer her food, but she clamps her mouth or swats at the spoon. As a mother, you are frustrated because you do not understand why the baby does not want to eat. Sometimes, you may even worry your baby will become dehydrated or dystrophic. Feeding a baby can be challenging to most first-time parents, but you have to stay calm and focus on the real problem. First identify the reason why my baby doesn't want to eat. Why Doesn't Your Baby Want to Eat? There are various reasons why a baby may be picky about the food. In some cases, the baby may be tired or teething. Moreover, your baby may not need the amount of food you are feeding her. Although the baby may be picky, this situation will not last long. Generally, most infants are ready for solid food between 4-6 months, although a few may find difficulty in handling the solid food. In this case, your baby may gag during the feeding time. Observe the reaction of the baby in order to make a sound judgment, which is one important tip to follow when wondering why my baby doesn't want to eat. The two conditions can make your baby don't want to eat. Food allergies activate the immune system of the baby and up to 8% of children experience the condition. Some of the symptoms include rash, vomiting, diarrhea, body and facial swelling and stomach pain. On the other hand, food intolerance is quite common and although symptoms presented may be the same, it does not affect the immune system, only the digestive system. Every baby goes through a period of rejecting and choosing foods. However, most children outgrow this phase and it can take several weeks or months. Your baby will be sensitive to the smell and taste of certain foods, which may lead to poor eating behaviors. Studies have shown that babies who are pushed to take more food or another bite may eat less and will be less healthy as well. When wondering why my baby doesn’t want to eat, do not pressure your baby who is in the picky eating phase. Toys and television can distract babies. This will negatively impact their eating habits. It’s important to avoid these distractions when the child is eating. When the baby is sick, he or she will eat less because the illness reduces appetite. However, if you have taken the baby to a hospital, there is no need to worry because appetite will resume immediately after recovery. It is important that you should prevent dehydration of your baby. When you feed your infant snacks, you fill up her belly and this will result in less eating. Poor eating habits usually come up because of continuous snacking and this will limit the nutrients the baby is getting from food. It is essential that you call your pediatrician if the baby is lethargic, begins to lose weight, or has the symptoms of persistent vomit, gagging or diarrhea. Do not take the symptoms lightly and have a professional consultation for further directions. Apart from the possible causes, you may also want to know how to feed your baby in the case of "my baby doesn't want to eat." You can try the following methods. 40% of mothers introduce solid foods to the infants before the baby’s belly can handle the food. However, if your baby is less than six months old, then he or she may not have the mature system to handle solid food. So don't start too early and consult your doctor if necessary. You can allow your baby to play with food. She can smash, smell and do other activities with the food. This will make her free to eat once she has satisfied her curiosity. When you want to begin giving your baby new food, you can give her a small amount to allow her to learn the taste. This will help introduce the taste of the new food gradually. Therefore when you introduce a large amount, the baby will be acclimatized to the taste. When your baby throws her arms or does not want the food, take it easy. Do not give in to the baby’s poor eating habits and keep feeding her slowly. This will help calm her down. Get your baby to focus on the foods when eating. You can take your baby to a quiet place or move away from any distraction and this will help her eat well. It is recommended that you turn the baby’s eating time into a fun-filled activity. You can keep clapping and encouraging the baby to eat. You can fly the spoon to the baby’s mouth with noises, which will be funny to the baby. When the baby is 8-9 months old, you can let the baby feed herself. Handing over the reins to the baby will allow her to eat more. However, you should be watching the baby as she eats. When you want to figure out how to feed your baby who squirms away, use the sense of the baby. Put a spoon in front of the baby and let her smell the whiff before you put the food into her mouth. The baby picks a lot from the mother and she’s constantly learning from you. Start eating together will make the baby begin to enjoy eating and follow your example. In some cases, when the baby is not familiar with the food, she may tend to dislike it. You may make the food that she doesn’t like to be adorable by disguising it. For example, you can make the food bright in color or in the cute animal shape. You can also try to make vegetable in the pureed form.